NY KNICKS TODAY : Mike Woodson's days with the New York Knicks are numbered!!! 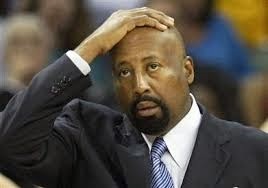 Mike Woodson's days with the New York Knicks are numbered!!! The franchise has played some really lousy games this year, like its 41-point loss to the Boston Celtics, and there have been few signs pointing to a Woodson-led turnaround. Sooner or later, a coaching change will be made.